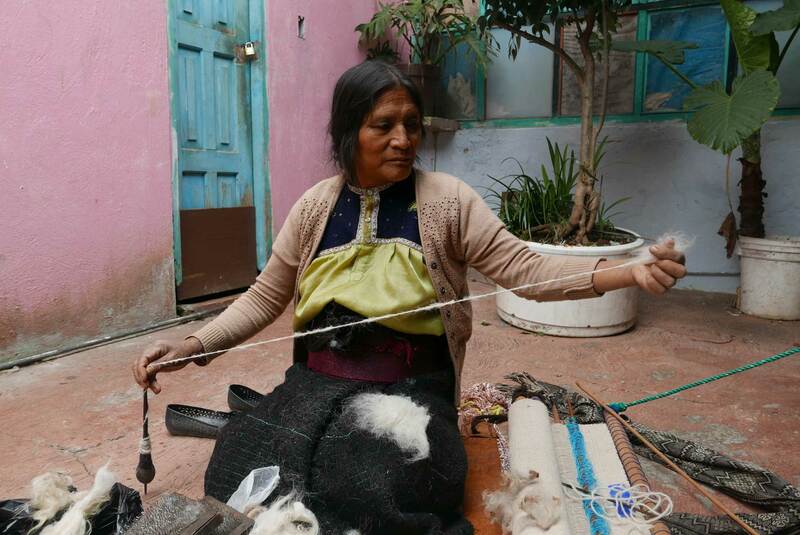 Wool was first used for weaving in Mexico in 1540 after the Spanish invaded and brought over sheep. Previous to this indigenous people had cultivated and used fibres native to the land. Cotton, yucca, and maguey to name a few. 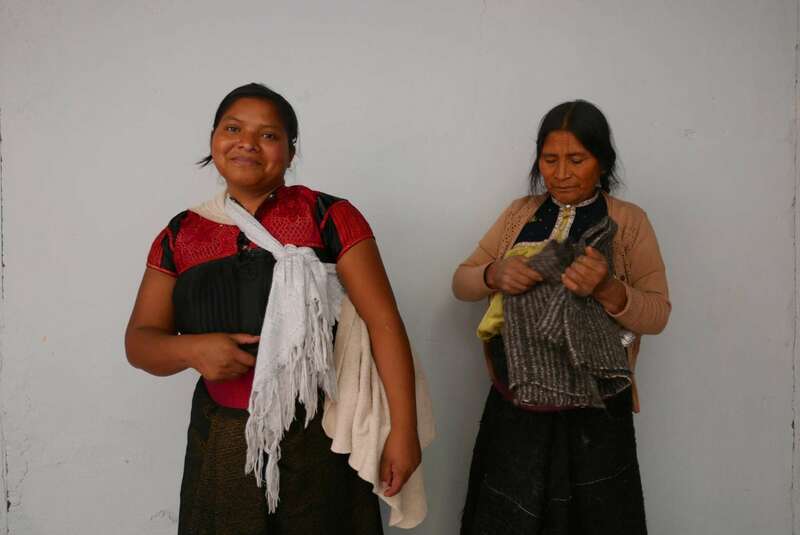 In towns such as Chamula in the Chiapas highlands, wool was a welcome introduction as it is a lot warmer than cotton. 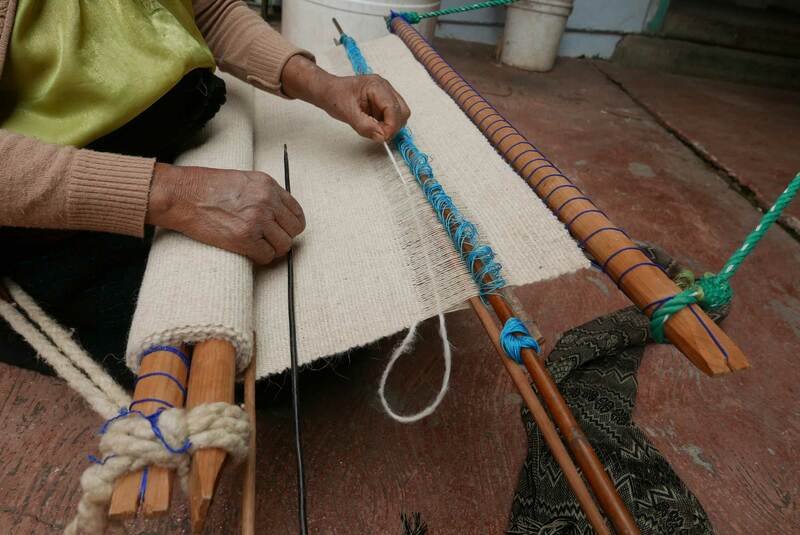 Many artisans used the wool fibre with their traditional backstrap weaving technique. After the sheep, which are looked after by the men, are sheared. The tufts of wool are cleaned, combed and carded using vintage wire-carding brushes. 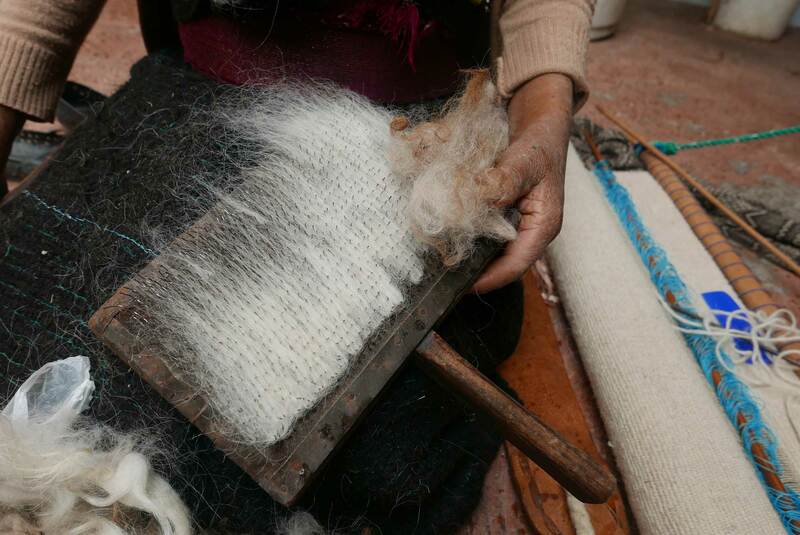 The wool is then spun into single-ply yarn using a traditional wooden, drop spindle. The long length fibres work perfectly for this technique. Once spun it can be woven on a backstrap loom. 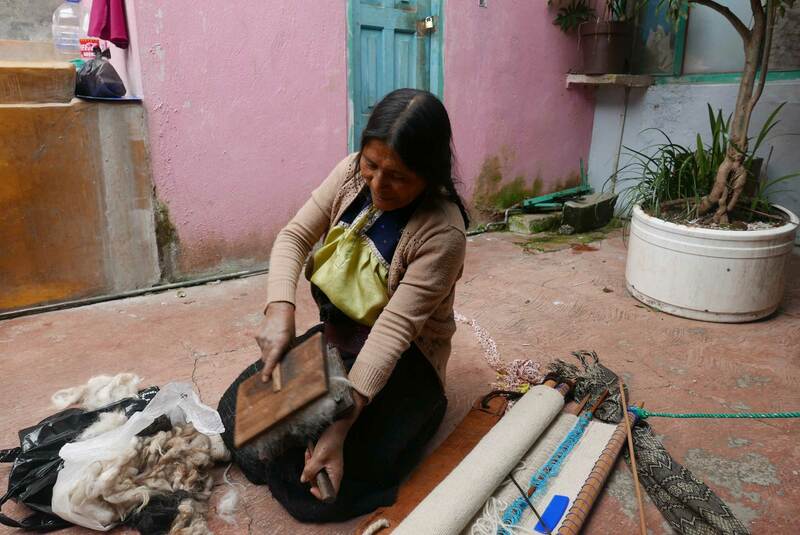 It is threaded through the warp threads using an extra long needle and pushed down using a wooden machete and comb. 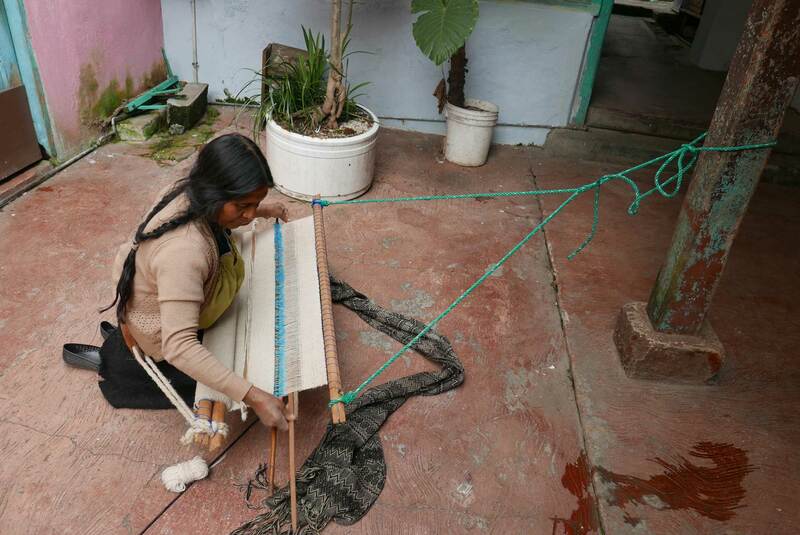 Micaela uses this technique to make our Domingo rugs. It can take up to a month to make one depending on the design and the climate. In the rainy season it may take a long time for wool to become fully dry so that they can weave with it. Micaela had learned backstrap weaving by the age of 10. 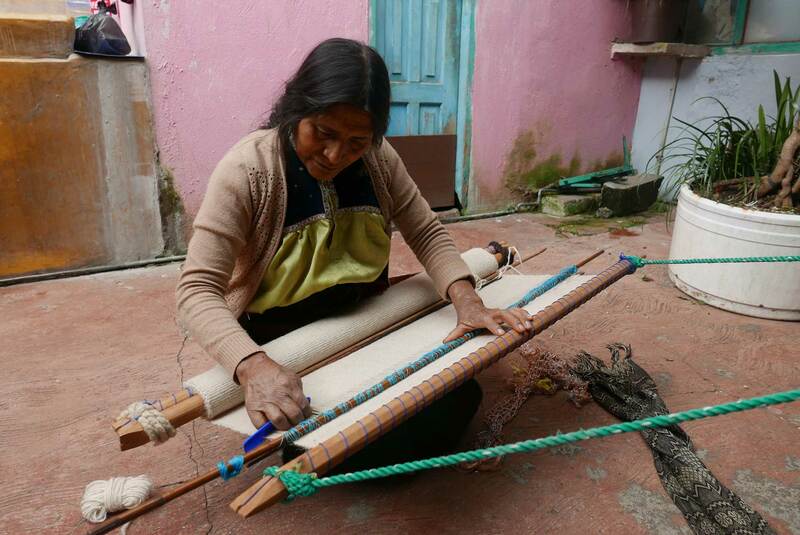 Her daughter, Dominga, learned to weave aged 12. Dominga, who has just given birth to a daughter, will no doubt pass on her skills to the next generation.